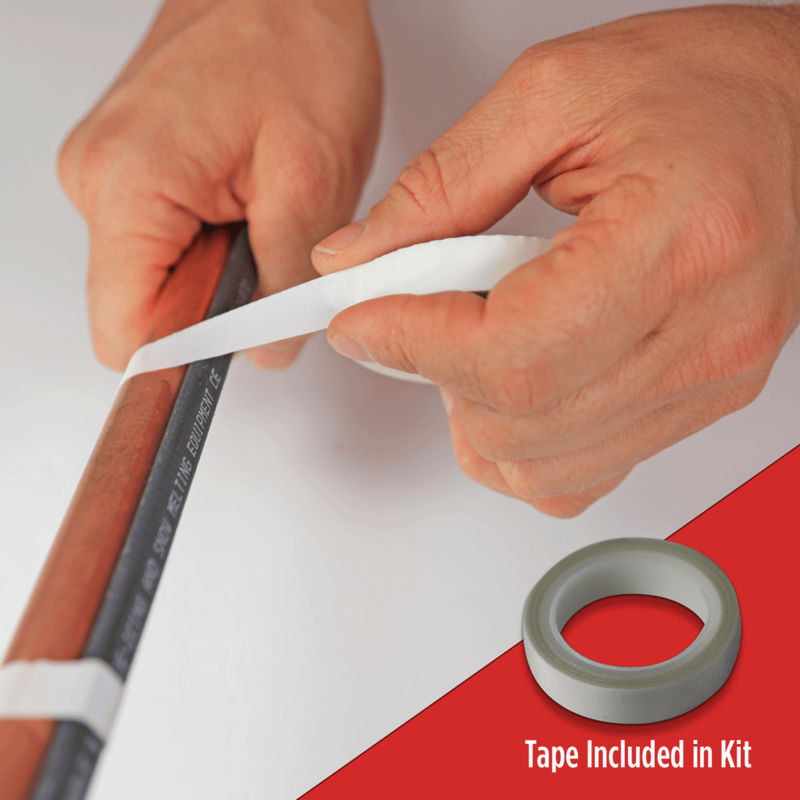 This self-regulating pipe-trace heat tape kit for use in protecting pipes from freezing includes heat tape and installation tape. 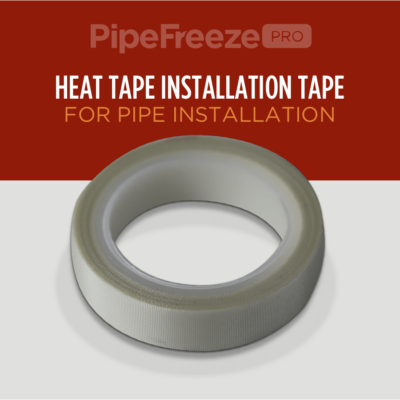 PipeFreeze Pro Heat Tape is designed specifically for pipe protection and is the highest-quality, most effective pipe freeze protection heat tape on the market. Because it’s Self-regulating, it saves you money in energy costs and unneeded replacement expenses. Protect your home from electrical fires: Safer fire precaution then leading heat tape. 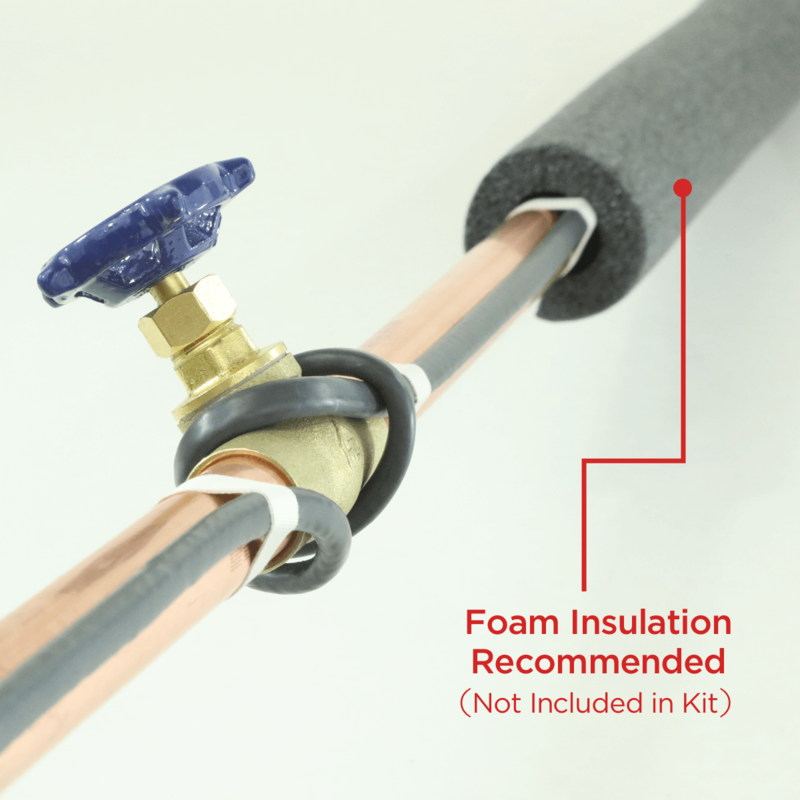 Our Plug-in Pipe Freeze heat tape Kit is designed for residential and commercial protection against frozen plumbing on pipes made from both metal (copper/iron) and plastic. 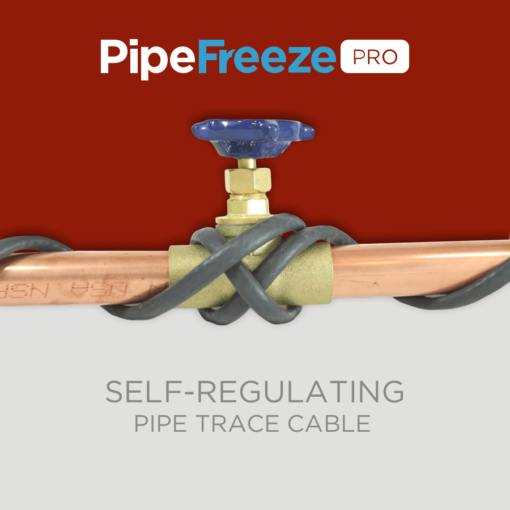 Our cables are self-regulating, so they only ask for the power they need to heat the pipe above freezing. This saves you a lot of money in the long run by not wasting electricity like constant wattage Pipe Trace heat tape. Since temperatures modulate, PipeFreeze Pro will not overheat, or pose a risk of fire like other heat tape. PipeFreeze Pro can overlap and touch itself. Standard heat tape can not do this. 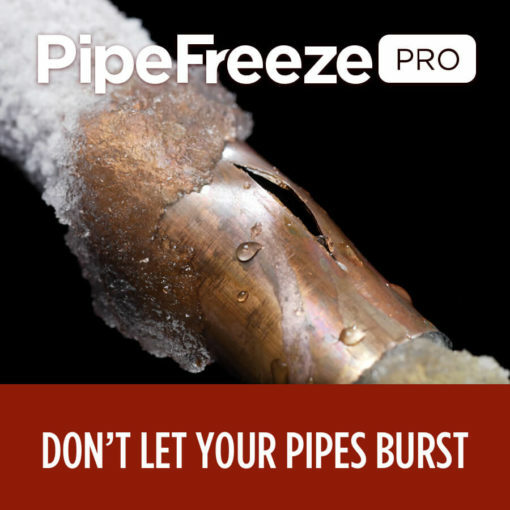 PipeFreeze Pro is not designed to thaw already frozen Pipes. 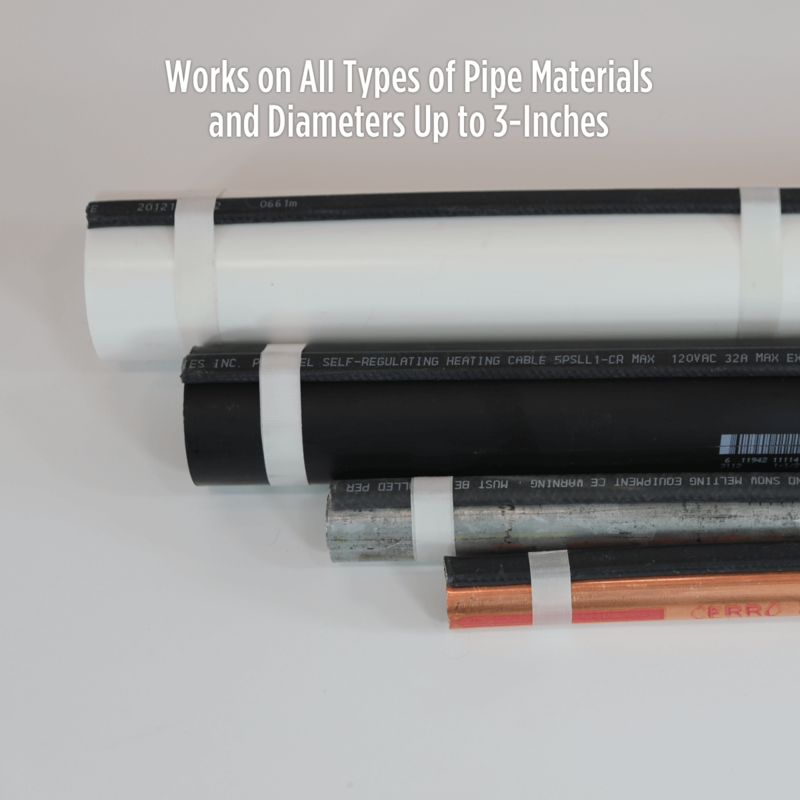 It is designed to prevent pipes from freezing. If you have frozen pipes, call your local plumber to determine the best course of action. 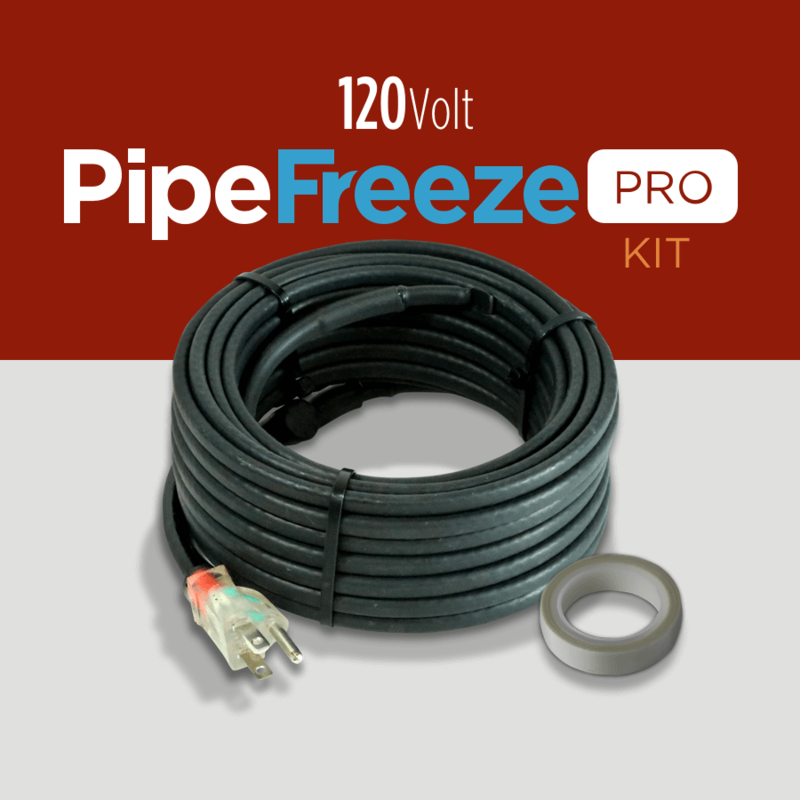 The table below indicates maximum circuit lengths for 120 volt Pipe Freeze PRO heat cable at different start up temperatures. 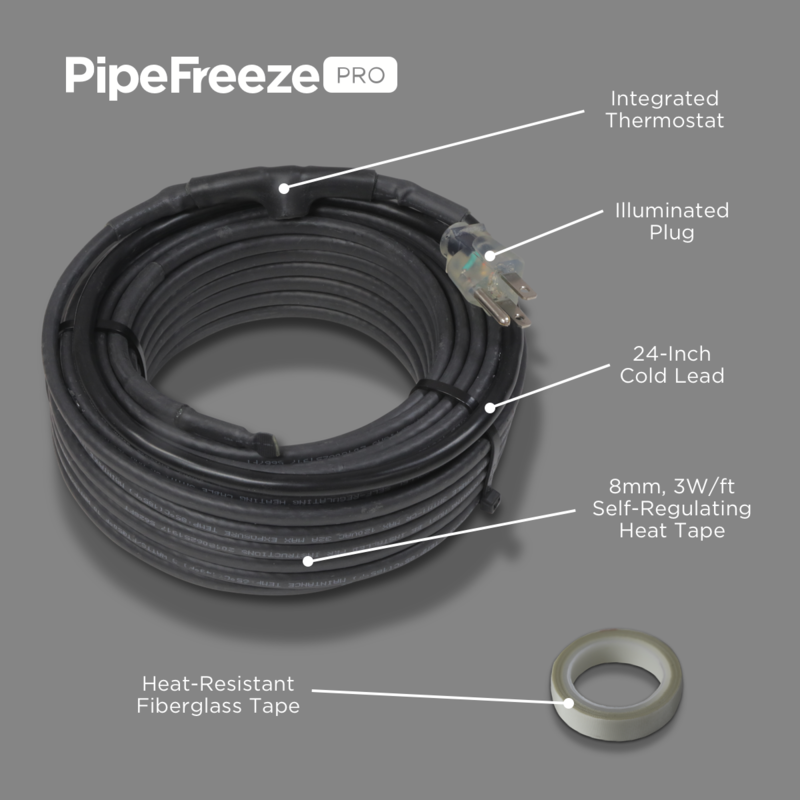 The figure in black represents the maximum length of a Pipe Freeze PRO heat cable in feet.